Getting tired of hoarding stuff I wont be using. Last set of handles that I have. (Im pretty sure). 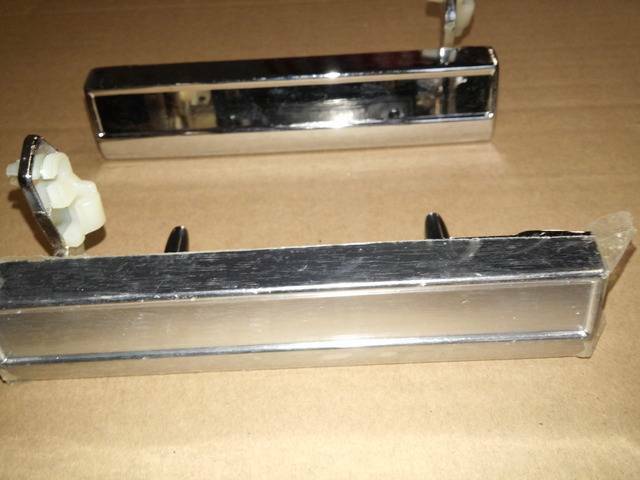 PAIR (left and right sides) GM Exterior door handles. BRAND NEW. Dorman brand. 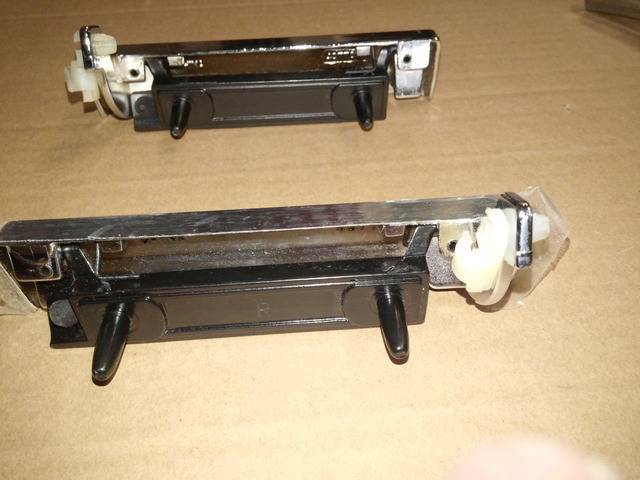 They measure 5 1/2" long and stud spacing on the rear is 2 7/8" wide. They take the self threading nuts. Selling as a pair for $25 SHIPPED to your door. Paypal as a gift or Walmart/USPS money order. Pics WAY at the bottom. SOLD !!!! Mods can delete.